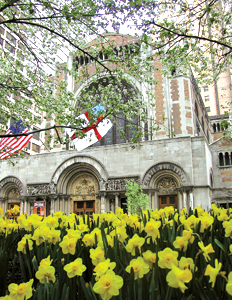 If you wish to arrange a parish meeting in the Church or Community House, please email St. Bart’s Central or call them at 212-378-0222. We ask you to understand that, particularly in these times, we are only able to offer these spaces at established market rates. Perhaps you are interested in our Athletic Facilities? For athletic rentals, please contact Barry Warner at .